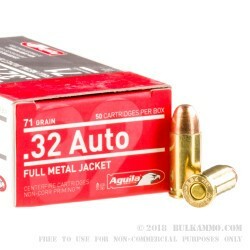 This .45 ACP jacketed hollow point ammo is perfect for self-defense and training. 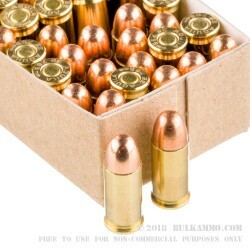 Ammunition is very clean burning, brass cased for reliable extraction and feeding, and accurate. 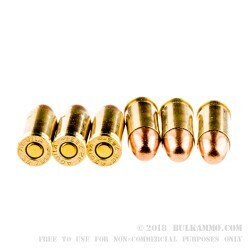 These rounds provide excellent expansion on impact. Brass cased, boxer primed. Reloadable. Fiocchi is one of Italy’s oldest ammunition producers. Founded in the 1870s, Fiocchi has produced ammunition for militaries, police and shooters would wide. NATO relies on Fiocchi to produce qualification rounds and munitions for several member nations. Fiocchi has even supplied ammunition to the US military. 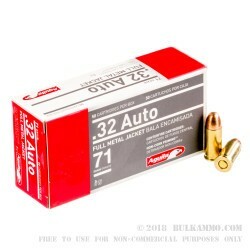 American shooters have found this Italian ammunition to be of the highest quality, clean burning, reliable and deadly accurate.